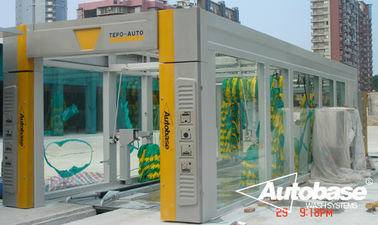 ※All the frame of TEPO-AUTO Tunnel Car Wash are designed by house type structure , without construing the house additionally by the clients .The whole frame are made of standard steel and it has been processed strict anti-corrosive treatment such as acid etch, galvanization , sandblast etc. Further more it can guarantee the good appearance as well as a life span up to 15 years. ※All the driving wheel which are of wear proof are made of nylon material , with a life span at least 15 years , it is superior to all steel material and applied to Tunnel series Car wash conveyor .The transmission gear of the TEPO-AUTO tunnel Car Wash have the signal and drive transmission function .it is equipped with the water-proof signal transmission gear to make the work accurate and correct. ※The horizontal brushes structure is firstly used in car washing area , with many advantages such as work stability , accurate signal transmission etc . ※This model is swing arm design with advantages such as small space occupation, small investment, quick cleaning speed, and streamline cleaning principle, etc. and is recognized, promoted and used by many small-scale car washes. ※ It is suitable for the cleaning, waxing, air drying, and hub cleaning of box cars such as limousine, jeep, and microbus, etc. 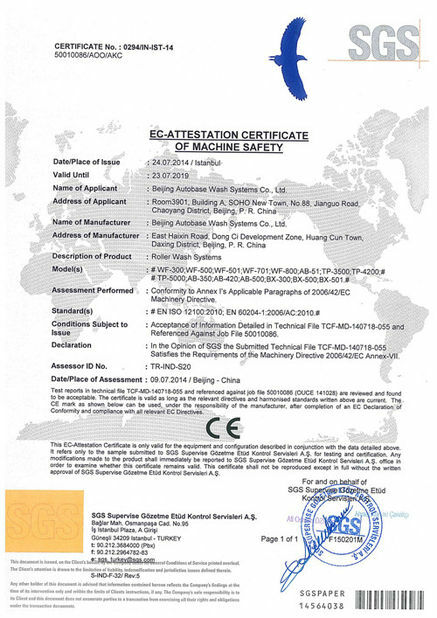 and can be equipped with chassis cleaning and high-pressure water spray system additionally according to the requirements put forward by customers. ※The functional design of TEPO –AUTO Tunnel Car Wash System has reached the international advanced level and all products has gained CE. 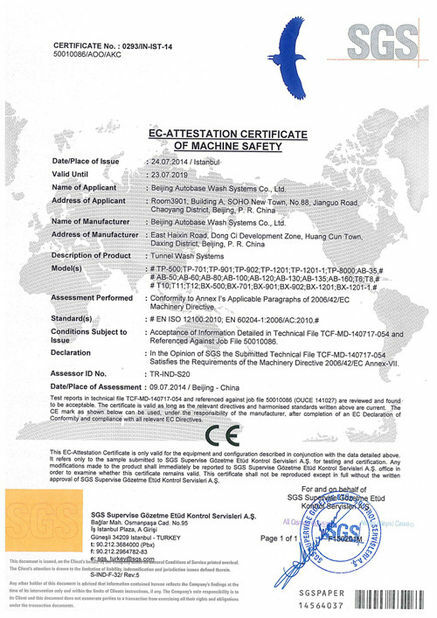 ※The years of experiences pool into the present development, which guarantees the best program function and brings high-efficiency performance and best cleaning effect.